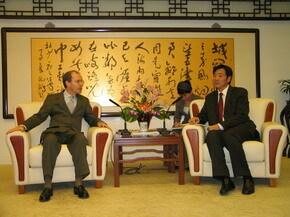 On October 15, 2007, Chinese Assistant Foreign Minister Zhai Jun met in the office building of the Foreign Ministry with a delegation headed by Jean-Jacques Moineville, director of the Africa department of the French Development Agency (AFD). Zhai briefed the guests on China-Africa ties and China's efforts to implement the achievements made at the Beijing Summit of the Forum on China-Africa Cooperation. 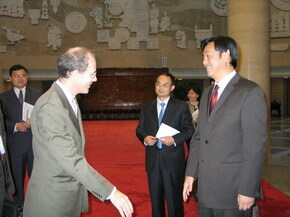 Both sides also exchanged views on their respective Africa policies and cooperation with the continent. The delegation is here in Beijing to co-sponsor, with China Institute of International Studies, a seminar on public aid to Africa.